Another Etsy Treasury! Boy am I on a roll. I have always been a huge fan of doing things the natural way. Chemicals have destroyed our lives and health. Every problem has a natural eco friendly solution, and if there isn’t one, we need to find it! I have my own little natural remedy to share. Basically, take half a spoon of ground Nutmeg (I bought the organic ground Nutmeg from Whole Foods) Add a squeeze of raw honey (Local Unfiltered Honey is what I used). Mix and slather on to scars! Leave for 30-45 mins, wash off. In my early twenties, I had a terrible bout of Acne and it left some ugly scars and pock marks. I was referred to a celebrity dermatologist who started me on a peel treatment. Each peel treatment lasted about 3 mins, and the total cost of 10 peels was nearly equal to my monthly paycheck. Expensive celebrity doctor treatment did not work. Enter Nutmeg. An aunt recommended it as a passed on secret from her great grandmother. At that time, I had a grinding stone slab and decided to grind my nutmeg fresh every day and dab on to scars. Results: Outstanding! My acne disappeared in a week (I was using everyday), and the scars started fading in 2 weeks. Now my acne is back with a vengeance, many many years later, to embarass me in my adulthood. I went to Wholefoods earlier this week and got my Nutmeg + Honey stash. In two days, ALL my acne has subsided except for this one stubborn bugger sitting on my cheek. I hope he is gone by the morn. Here is to natural living! One should appreciate the versatility of Glass. Glass, whether clear or stained, has the power to bring together an entire room. The more glass, the better! Check out my curated glass decor list on Etsy. I’m curating all these lists for my new home, so I have everything in one place when I start decorating. Then the lists looked so pretty, I just had to share! 1. Check for Thickness, Opacity, Color and Texture: Solid glass with flecks, bubbles and dents are all high quality hand blown glass. Solid glass also wont break as easily and can hold weight. If its cloudy, its probably not glass, but there are varieties of intentionally clouded glass – you can tell these by the weight, they are heavy. 2. If buying used, check for brand names. My favorite is Kosta Boda from Sweden. Pretty much all designer glass from Scandinavia are top quality. I got a Kosta Boda tray as a wedding gift from a Swedish friend and it is solid, heavy and absolutely stunning under light. Murano glass is also top quality hand blown glass from Venice Italy, definitely a worthy investment. 3. Glass decor adds dimension to a room. Use it to add points of interest to an otherwise monochromatic room. Place glass objects in the path of light and fill them with interesting objects like Pebbles, Pot-Pourri, Dried Flowers, Pine Cones, Candles or even a little air plant. 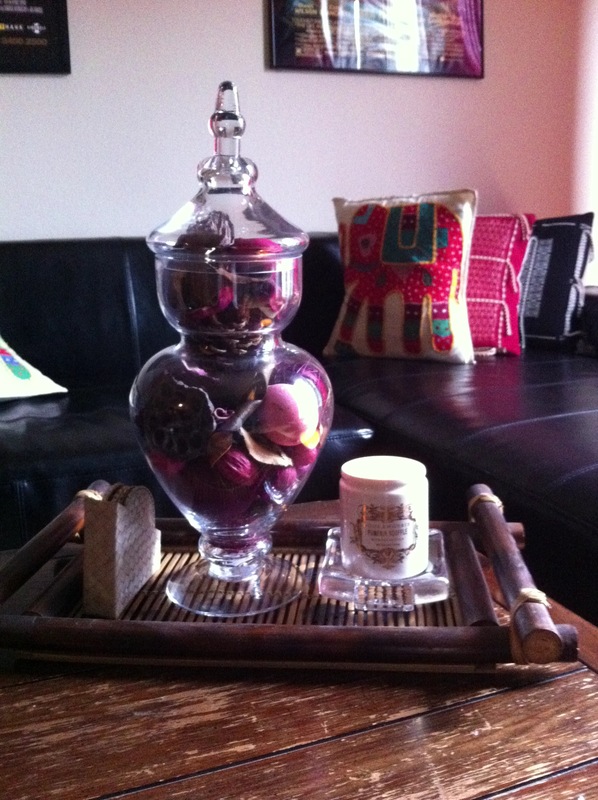 I am including a photo of my apothecary jar at home filled with Pot Pourri. Gold. I love gold. Beautiful, metallic, brilliant gold. I love to accent Whites, powder blues, bottle greens & pale pinks with a hint of gold. Gold is a rich hue that is best kept minimal. Hope you are inspired! I am obsessed with Etsy. No Joke! About 80% of my wedding was Etsy sourced, and I love that I had the most unique never-seen-before handmade memories from that day. I have been following Etsy treasuries and lately have been obsessed with White Decor. White is the ultimate fashion statement in decorating. Here are some of my inspirations. Don’t be surprised if everything on this treasury is not white. I believe in minimalism with a surprise twist. Oh and I love birds, bees and butterflies. Check out this treasury and do share yours! I was trying to find ways to cut costs while planning a dear friend’s baby shower. Found some inspiration while doing some random googling. I made a total of 12 bags, total cost per bag .70c! The open top bags were actually quite big, so I had to cut them down to a smaller size. The left over pink papers were re purposed into labels. You can see one of the labels in the picture. All I needed were a pair of scissors, glue and mad calligraphy skills picked up during a summer camp back in the 90s. Favor bags were filled with pink cotton candy pop-corn. I did a 3-day Juice Cleanse of fresh Pressed Juices (http://rootspressedjuices.com/) to give a friend support while she was doing her Juice Cleanse. I’m a vegetarian, so I did not need any serious prep for this. I just woke up one day and ordered it, started the drill the next day. I will get right down to the point and say I am not doing a juice cleanse again. I might try a modified version, or substituting a meal with a healthy juice, but that is it. 1. 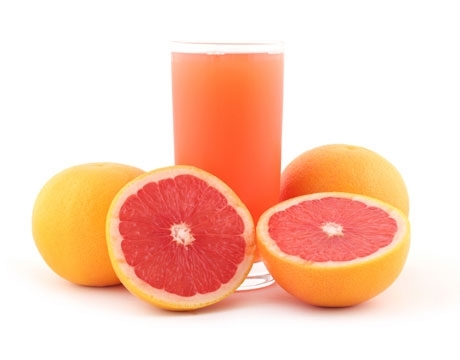 Short Term Benefits– Going on a juice diet will give you results that are almost immediate. But none of these results are sustainable, or long lasting. Cleansing makes you lose a ton of water weight. Also since you aren’t consuming junk food or loads of Carbs, your tummy gets super flat. But it is going to go back to its normal size the day you order that In&Out burger. If you are looking for a way to just break your current routine, this might help – but it depends completely on your own will-power. I bounced right back to my normal eating routine. 2. Side Effects – You will feel dizzy, nauseous, constipated, (or opposite of constipated), hungry and might not be able to sleep at night. While the juice cleansing websites insist that this is OK, I don’t think it is. I come from a family of doctors, and my gastroenterologist uncle laughed when I mentioned I was going to do this juice cleanse. A way to reduce side effects would be to eat a little bit of solid food every evening (Boiled brown Rice / Quinoa, Steamed / Herbed Veggies and White / Herbal Tea with no Milk or Sugar). 3. Price – Bloody expensive. The amount of money you will spend on a 3 day juice cleanse could buy you six 30-minute personal training sessions. I realized after I did the cleanse that I could have put that money somewhere else. It is not an investment, people. It is a quick fix. One way to save money would be to make your own juices, but that would require a lot of time (which some of us don’t have). 4. Ingredients – If you are buying the juices like I did, you have no idea what went into them. Roots said they “try to use organic ingredients whenever possible”. That could mean they did not use any organic ingredients. That could mean they went to the grocery store and bought the cheapest veggies and fruits to make these juices. You never know what you are putting in your body 8 times a day for 3 days or more. Keep in mind that this is a gamble. 5. Nutrition – No protein, too much sugar. Feel free to Google this, but no protein in your diet is really bad for you. Your muscles, hair, skin, nails all need protein to thrive. Just vitamins and minerals on their own are not going to give you glowing hair. The longer you do the cleanse, the more you deprive your body of essential nutrition. A lot of these side effects are probably not even measurable in the short run, but just know that it is not free of consequences. Ultimately, all juice cleanses are more or less similar (unless you make the juices yourself). Eating smaller portions of food everyday, cutting down on bloaty carbs and sugars and staying moderately active every day will give you similar results that last much longer. If all you are looking for is instant gratification, juice away at your own risk! I am generally more curious than the average person and have an extreme interest in Music, Coffee, Red Wine, Impressionist Art, Fashion, Languages and Spirituality. I'm borderline feminist, borderline atheist and borderline crazy. If I had a choice to go forward in time or back, I would choose to go back to the 70s and be a rock 'n roll junkie.